Samoan Heroes tells the inspirational stories of achievers who have Samoan ancestry. It includes legends like Sina and Tigilau; historical figures such as Tupua Tamasese Lealofi III and Salamasina; and contemporary heroes like Dwayne 'The Rock' Johnson, Judge Ida Malosi, Troy Pol... read full description below. "A collection of inspirational stories of achievers who have Samoan ancestry. 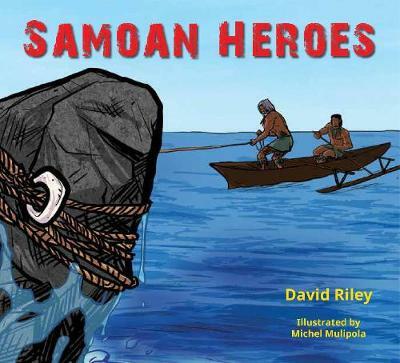 It includes: contemporary heroes like Dwayne 'The Rock' Johnson, Troy Polamalu, Judge Ida Malosi, Savage and Associate Professor Donna Adis; historical figures like Emma Coe, Tamasese, Salamasina and Lauaki; legends like Sina, Tiitii and Tigilau"--Back cover.